Yay. The last balls of Stylecraft arrived and I'm underway with Lucy from Attic24's crochet along. Making a blanket for a double 180cm x 180cm rather than single 120cm x 180cm bed so it's going to be a long haul. 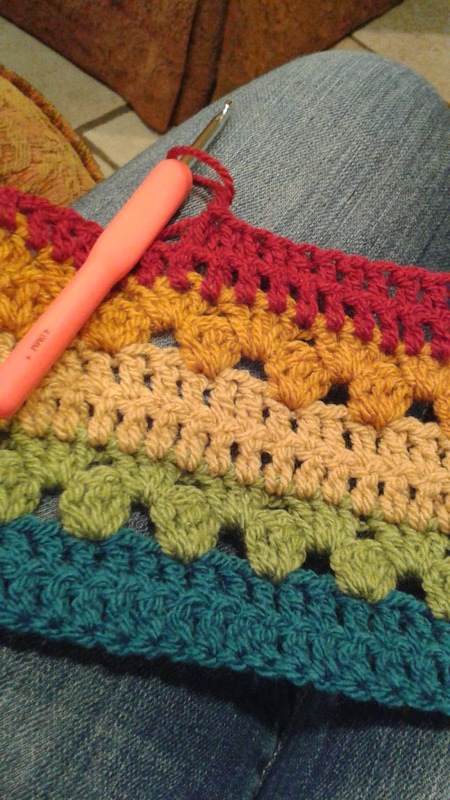 The pattern is very easy, yarn soft and color choices pleasing.